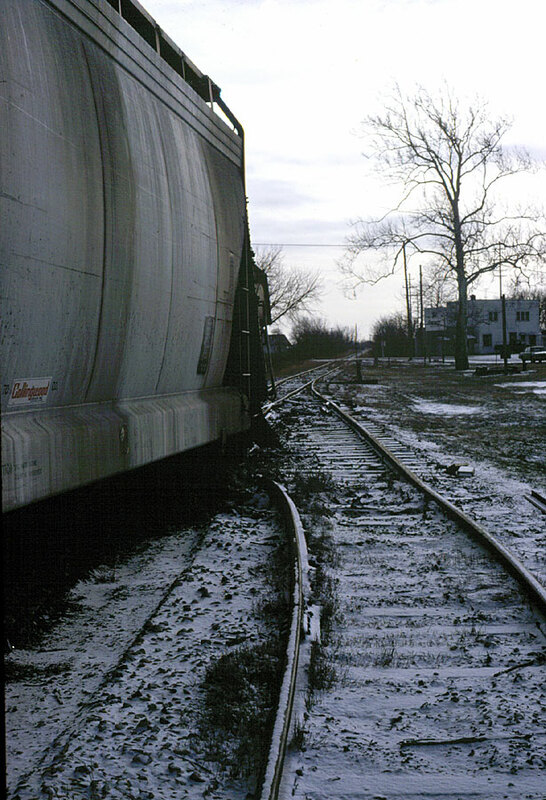 No crew members are around, and the Conrail local from Toledo to Lenawee Junction, MI is going no further today, having gone off the rails at the east switch of the Riga passing track. The covered hopper is loaded, so this will be some hard work for the track crew to pick up. 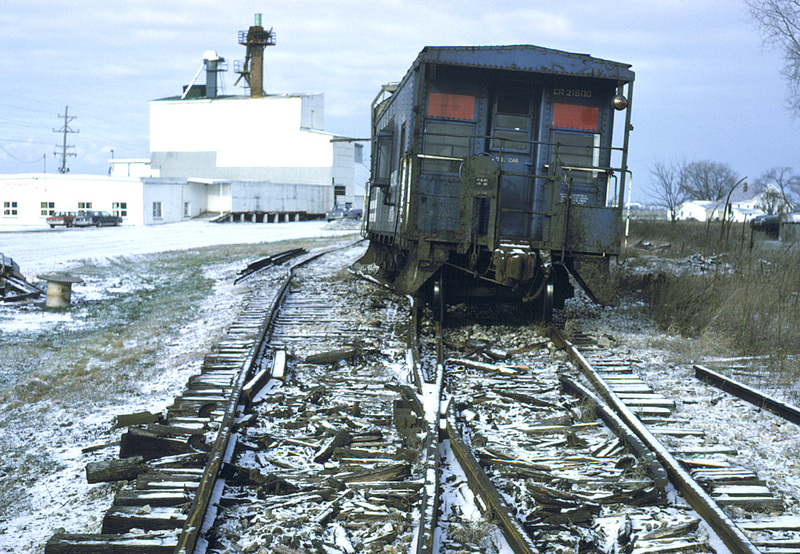 It would appear the covered hopper picked the points on the switch, derailing its rear truck and taking the caboose with it. 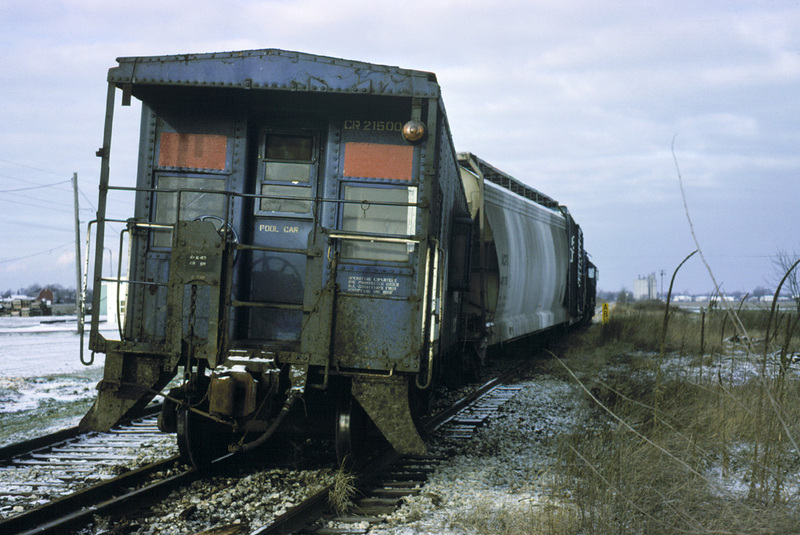 The local, with only two revenue freight cars, appears a bit overpowered. 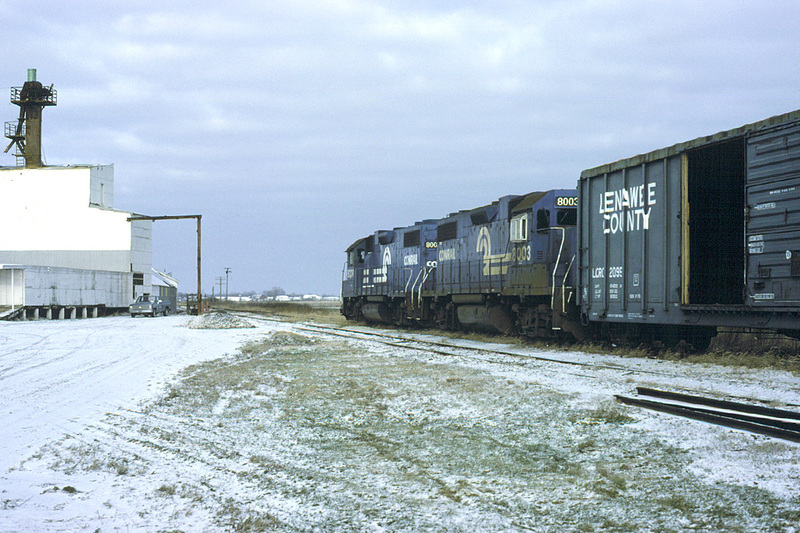 Double-heading was very unusual for this line, but it’s likely that first an empty unit grain train was set off at the Michigan Elevator Exchange in Ottawa Lake, MI, with the power then continuing with the remaining cars for the Lenawee County Railroad at Lenawee Junction, MI.